The medical carts that nurse aides have always wanted. 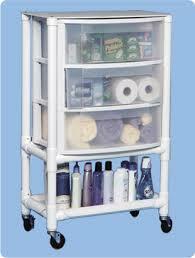 Their very own low cost supply cart for transporting anything they need for providing patient care. Beneath the top shelf writing surface, three roomy drawers and a bottom shelf afford ample space for all supplies.